My friend Dana, the fab photographer from the last post, brought a phenomenal Mac & Cheese side dish to a summer BBQ – I think it was the one where we smoked a whole pig – it was pretty epic – but I digress. Dana and her husband remained highly secretive regarding the ingredients in their Mac & Cheese recipe, but despite their mysteriousness I was willing to give it a try. I took a bite…then another, then another helping, and so on – I was hooked! When the big reveal happened (cashews, people, cashews!) I was surprised but totally delighted at how good it was! So when we got together this past weekend, I said we had to make this deliciousness. We whipped up a batch and I’ve been happily eating it all week! It’s so creamy with a perfect hint of smokey spiciness. And in all honesty, I never would have guessed there wasn’t ANY CHEESE in the recipe! Seriously, give this a try – you’ll be pleasantly surprised! Dana took all the photos below. Be sure to visit her blog, Dana J. Ardell Photography, here! Get a pot of salted water boiling for the pasta. 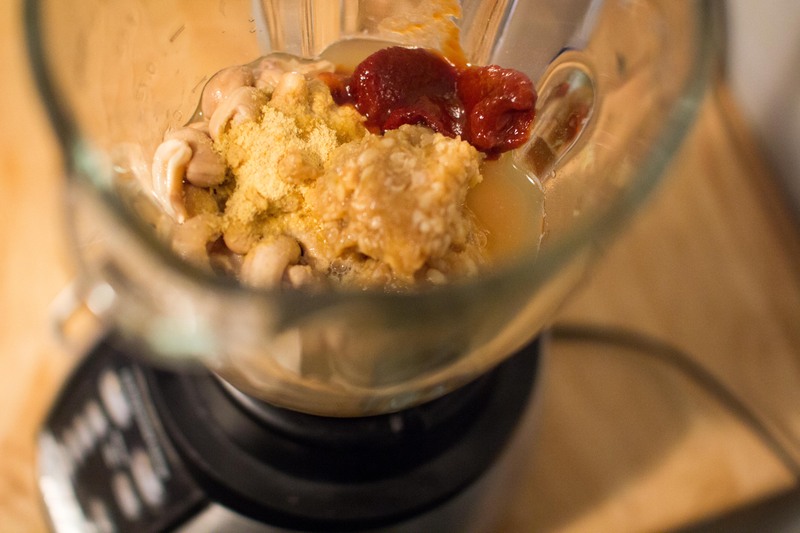 Then to make the sauce, drain the cashews and place all sauce ingredients in a blender. Blend until really smooth, about 5 minutes. When the macaroni is al-dente, drain and then immediately put it back in the pot you boiled it in and stir in the sauce. Place this on low heat and stir for just a couple of minutes until the sauce is thickened a bit. Voila. 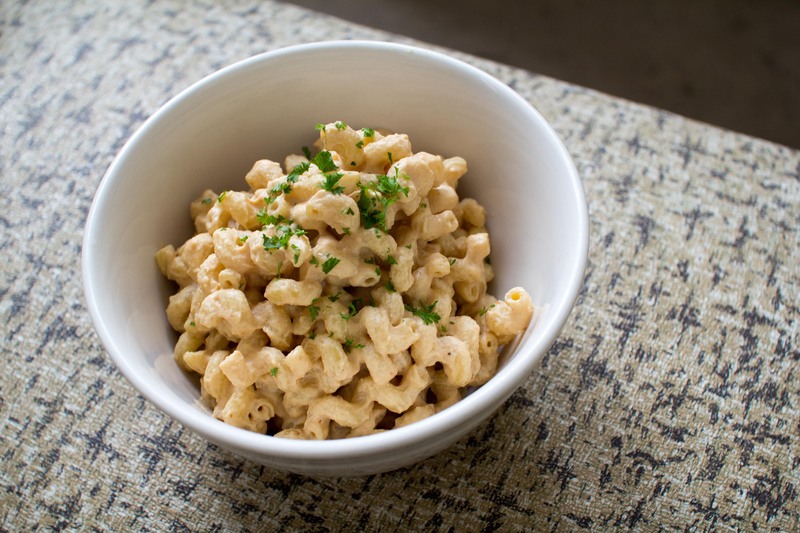 You have delicious mac and cheese that is really mac, cashews, and chipotles. Seriously, get on this. So good. The original recipe included brussel sprouts and can be found on this awesome blog, Post Punk Kitchen. Annie, this has peaked my curiosity!! We love chipotles and always have them left over from BBQ sauces etc. What a good use for them! Yum! 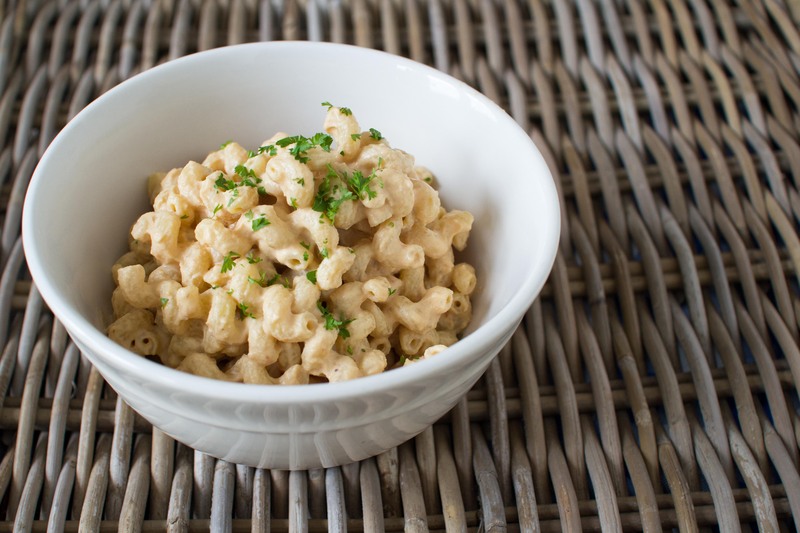 Definitely keeping the cavatappi tip in my mac and “cheese” playbook. You can also do this with almonds and other fatty nuts like macadamia, etc. Annnnd sometimes places like Trader Joes will have nuts ground up to purchase in bags so that you can skip the soaking in water step. Thanks Jumpy! I definitely surprised myself in liking this so much – haha! 🙂 But excited to keep trying more.